Taiwan is planning a blanket ban on single-use plastic items including straws, cups and shopping bags by 2030, officials said Thursday, with restaurants facing new restrictions from next year. It is the latest push by Taiwan to cut waste and pollution after introducing a recycling programme and charges for plastic bags. The island's eco-drive has also extended to limiting the use of incense at temples and festivals to protect public health. Its new plan will force major chain restaurants to stop providing plastic straws for in-store use from 2019, a requirement that will expand to all dining outlets in 2020. Consumers will have to pay extra for all straws, plastic shopping bags, disposable utensils and beverage cups from 2025, ahead of a full ban on the single-use items five years later, according to the road map from the government's Environmental Protection Administration (EPA). 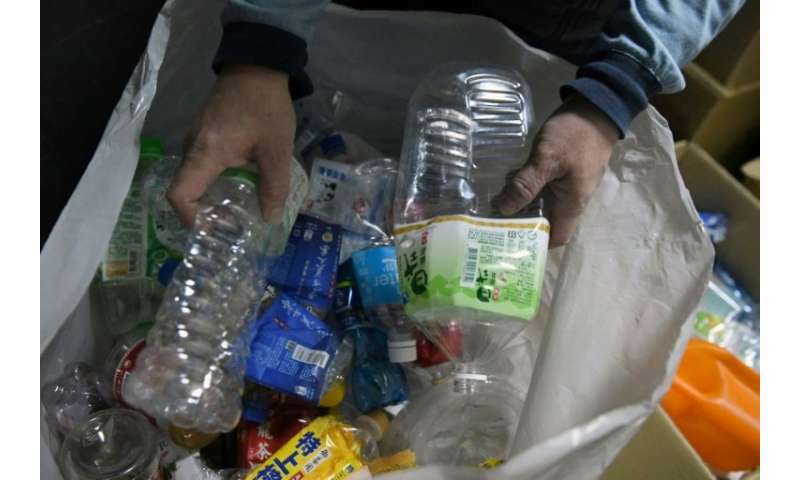 "We aim to implement a blanket ban by 2030 to significantly reduce plastic waste that pollutes the ocean and also gets into the food chain to affect human health," said Lai Ying-ying, an EPA official supervising the new programme. According to Lai, a Taiwanese person on average uses 700 plastic bags annually. The EPA aims to reduce the number to 100 by 2025 and to zero by 2030. The government has already banned free plastic shopping bags in major retail outlets including supermarkets and convenience stores, expanding the move to smaller businesses including bakeries and drinks kiosks from this year. The island started recycling plastic and pushing to reduce single-use plastic items more than a decade ago. Last year, nearly 200,000 tonnes of plastic containers were recycled, the EPA said.